OKLAHOMA CITY (CNS) — A federal judge in Oklahoma City July 19 granted a temporary injunction to the arts and crafts chain Hobby Lobby, saying it would not have to comply with the federal health care law mandating that employers provide coverage of contraceptives in their health insurance plans. U.S. District Court Judge Joe Heaton issued the preliminary injunction, and gave the federal government until Oct. 1 to consider an appeal. The Christian owners of Oklahoma-based Hobby Lobby chain have specifically argued that providing emergency contraceptive coverage to their employees, as required by the U.S. Department of Health and Human Services, violates their religious freedom. The injunction comes several weeks after a federal appellate court ruled that Hobby Lobby can exercise religion under the First Amendment and is likely to win its case against the mandate. “The tide has turned against the HHS mandate,” said Kyle Duncan, general counsel with the Becket Fund for Religious Liberty, and lead attorney for Hobby Lobby, in a July 19 statement. A press release from the Becket Fund called the decision a major victory not only for Hobby Lobby but for all for-profit businesses. There are now 63 separate lawsuits challenging the HHS mandate. In September, Hobby Lobby sued the U.S. government over the requirement that employers cover emergency contraceptives such as the morning-after pill or Plan B, which are considered abortifacients. The family-owned company has no moral objection to the HHS requirement it cover “preventive contraceptives” and will continue to cover those for employees. 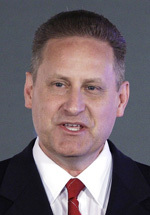 Hobby Lobby and other companies that have sued over the mandate cite the Religious Freedom Restoration Act of 1993, which prohibits the federal government from imposing a “substantial burden” on a person’s exercise of religion unless there is a “compelling governmental interest” and the measure is the least restrictive method of achieving that interest. Final rules for implementing the HHS contraceptive mandate, part of the Affordable Care Act, does not exempt secular for-profit companies from complying even if their owners are morally opposed to it.